Chanel Nº 5 is undeniably one of the most iconic fragrances in existence. However, the fragrance simply isn’t for everyone. The dominant notes are laid on pretty thick, and it’s just one of those fragrances that you either love or dislike. Those who love it, appreciate the complexity and distinctness of the fragrance. (Never mind that when Marilyn Monroe was asked what she wore to bed she exclaimed, “Chanel Nº 5”).Those who dislike it…….I have heard it referred to being for the “mature” generation. I must admit, the parfum and eau de parfum tend to be a bit overwhelming for me as well. My husband has said it was one of his least favorites among my fragrance collection. Nº 5 has been “lightened up” several times, and I believe it was done to appeal to the younger masses. I never really thought that the scent had changed all that much, except for the fragrance opened softer and dried down slightly sweeter. 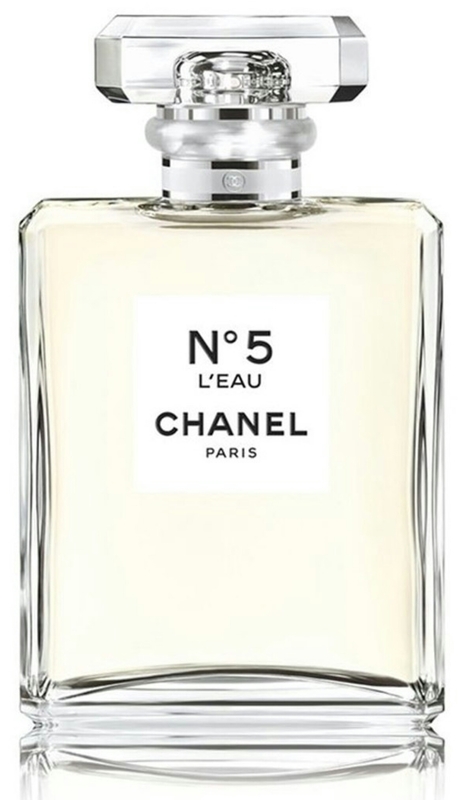 Now after several fine tuned releases of the original, I have finally found my signature Chanel Nº 5 in the form of L’eau! If you have always wanted to be that kind of woman who wears Chanel Nº 5, but you feel like you couldn’t pull it off, you have to try this newest version. It is truly lovely, modern, and classic. I haven’t stopped wearing it since I got it!